Hoi An translates from Vietnamese as Peaceful Meeting Place and after a few days, I think this is a good name for it. 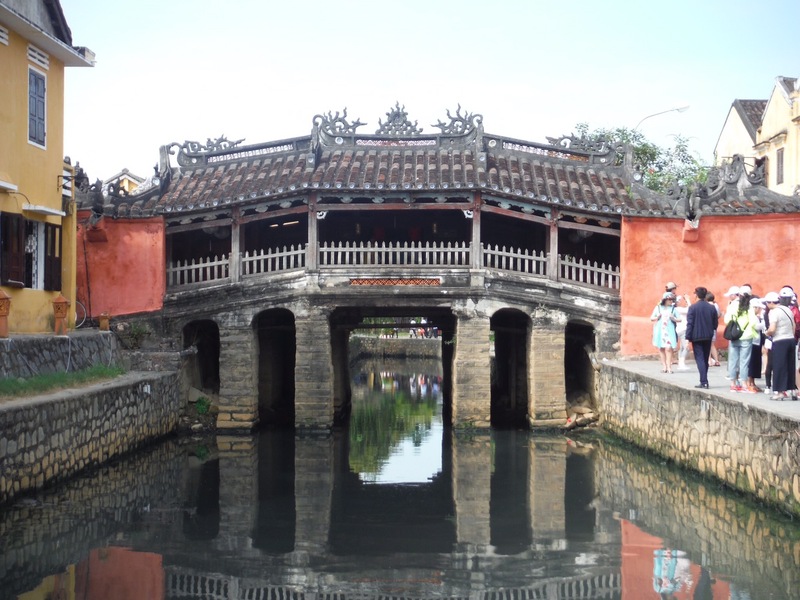 Hue translates as a City of Romance. That one I’m not sure I can comment on. Leaving Ho Chi Minh City we were rushed and frantic. We had to get sassy with a taxi driver that I’m pretty sure drives slower than most pensioners and spent a good amount of time speaking things into google translate. He spoke no English and whenever we asked him how much longer or how much further, the only response we got was “err seven”. Who knows what that meant. We ran to check in and got to the desk 39 minutes before our flight (when it says to check in at least 40 minutes before) and attempted to run through security. We got put in the express queue but when we were still a way away we heard an announcement on the tannoy saying that our flight had been delayed due to a “late arrival”. Oops! However once we were on the plane (with 5 minutes to spare I might add!) it was all a breeze from there. We waited for the last few people to arrive and the drinking water – honestly, how dare people be late – and spent one short hour in the air. 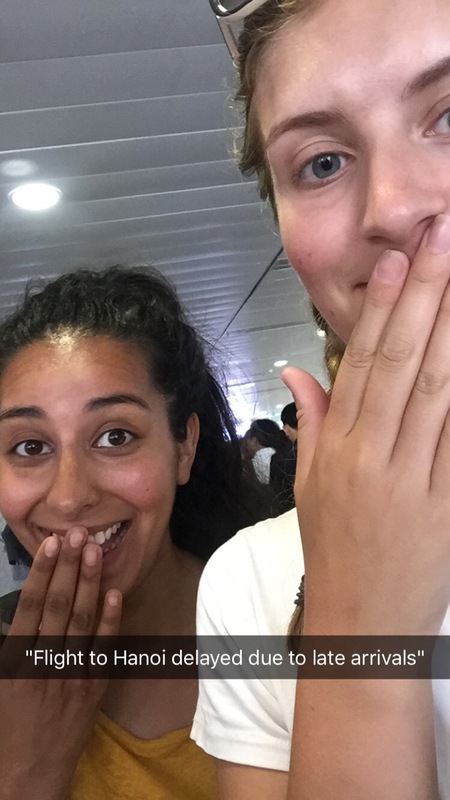 Compared with the 25 hours it could have taken us by land I could have cried with happiness when we waltzed off the plane, very quickly collected our bags and then were greeted by a taxi driver with my name on a sign. Everyone deserves their name on a sign when they walk through an airport – I felt so special. After checking into our homestay (basically just a hostel) we walked towards the river to look for somewhere nice to eat dinner. 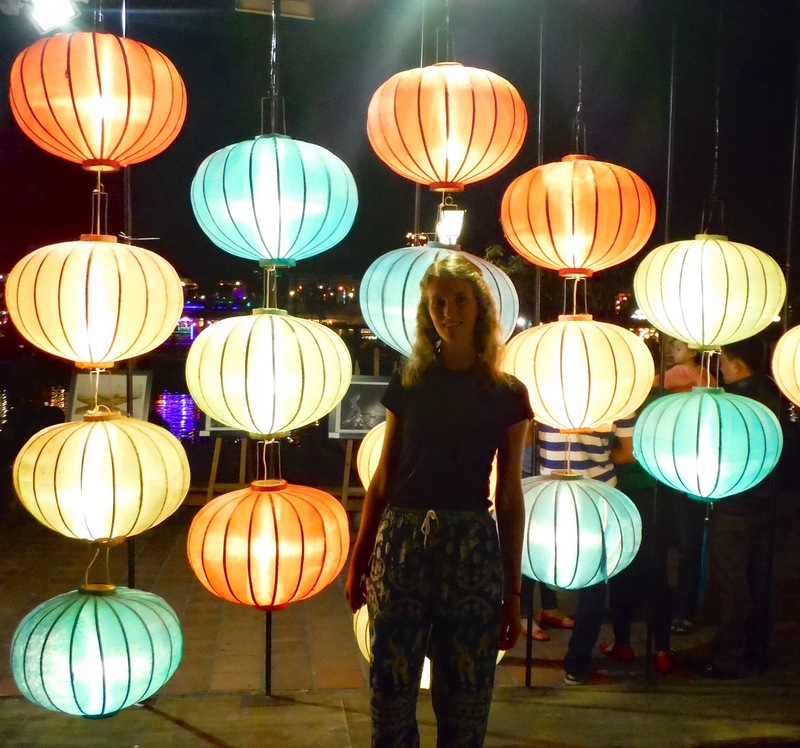 We found a few restaurants but decided on Dao Tien River Restaurant as it wasn’t crazily expensive and it had pretty lanterns. I had some typical wan tons from Hoi An with pork and prawn and some yummy sauce and Ammun had rice pancakes which were basically sheets of rice paper then you put some beansprout and beef omelette and salad in. It was very weird but nice! We were feeling very relaxed and happy but my back was playing up and I thought this was the perfect opportunity to finally get a massage. We walked up and down one of the roads with a few spas on and eventually decided on one. They washed our feet and gave us a small bottle of water each before inviting us into a small room with two beds. An hour later my back, glutes, neck, shoulders and head had been quite violently massaged and even though I’d told her to ease up a bit I still left feeling a bit sore! I had a good stretching and clicking session before bed and then was out like a light! Despite being woken up by building works at 6.30am, we enjoyed our lie in and eventually rolled out of bed for breakfast. We had really good fried egg sandwiches – with runny yolks which we don’t get often – washed down with a mouthful of strong, gross Vietnamese tea and freshly squeezed orange juice. Our hosts gave us a map and marked for us the best sights to see including An Bang Beach and the Coconut Forest but we didn’t think the weather was going to be too nice so we decided to go and visit the Ancient Town via the market. The market is next to the docks so there was a lot of fresh fish and seafood. There was also fruit and vegetables, eggs and even chickens and ducks! 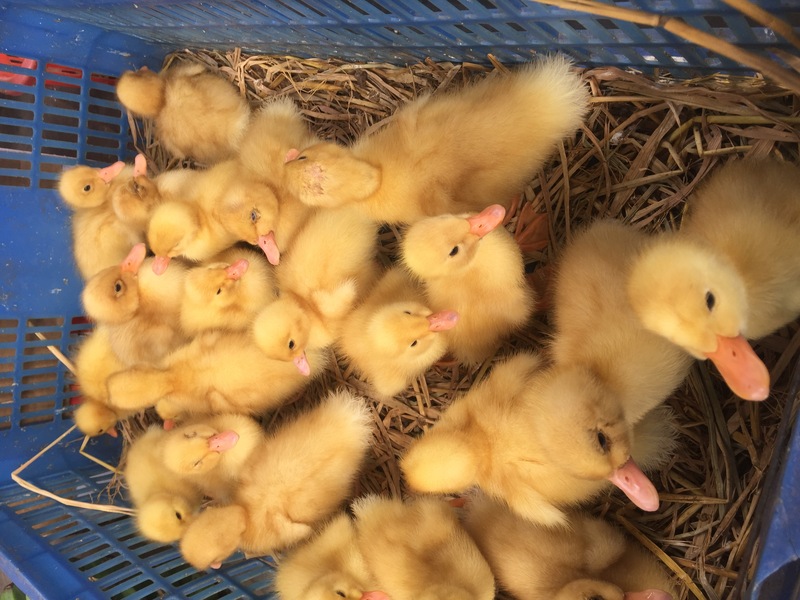 I watched a woman play with some little chicks and they were biting her hand but not enough to hurt her. I was too much of a wuss and as soon as I put my hand near, one bit my nail and I flinched back which made some people laugh. 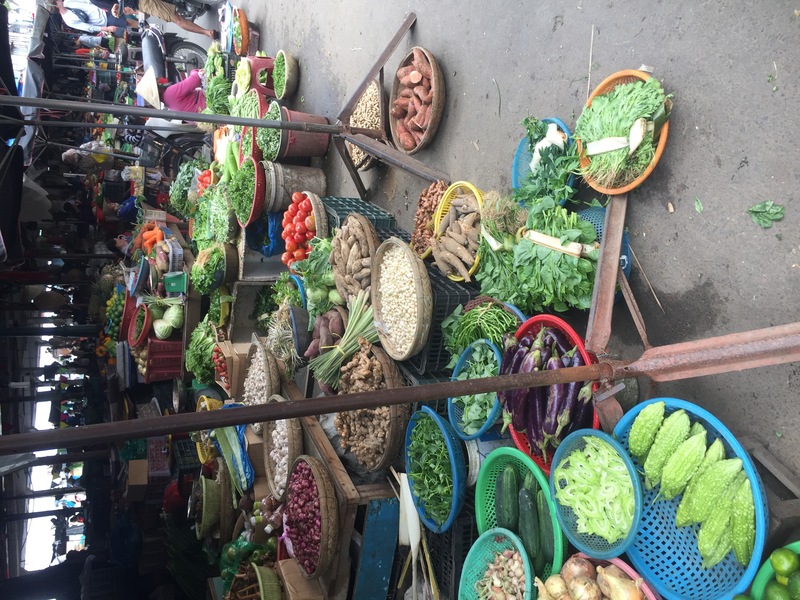 The next section of the market was all the same sort of stuff as the market in HCMC and we saw chopsticks, clothes, jewellery and decorations. The ancient town is a beautiful part of the city either side of the river. 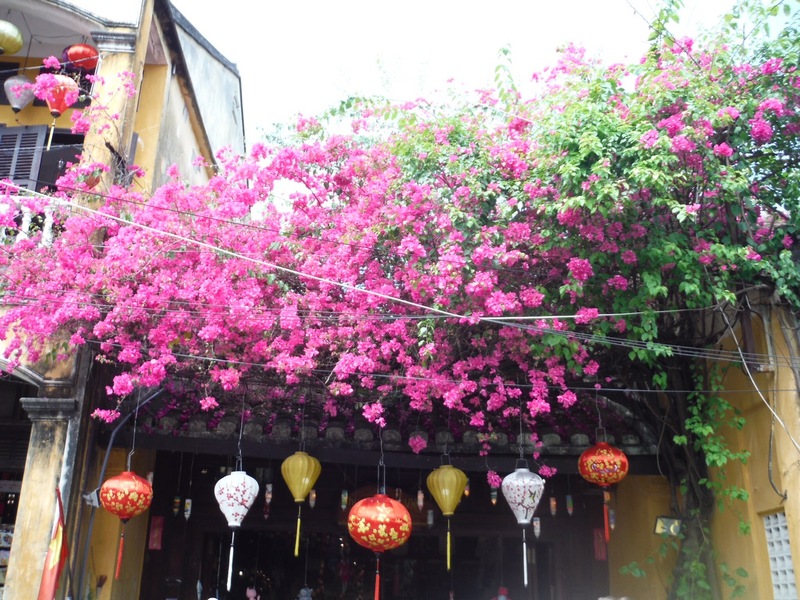 All the buildings are colourful and quaint with flowers and plants growing up them and strings of lanterns hanging everywhere. Once we got peckish we stopped for lunch and I finally had my first ever Pho. I never really knew what Vietnamese food was before this trip (and if I’m totally honest, I still don’t know what is Vietnamese and what I Asian!) but while I was in South America, some people were talking about how much they love Pho so I had to try it! I had a beef one and it was okay. Wasn’t the best thing I’ve ever eaten but also not the worst. 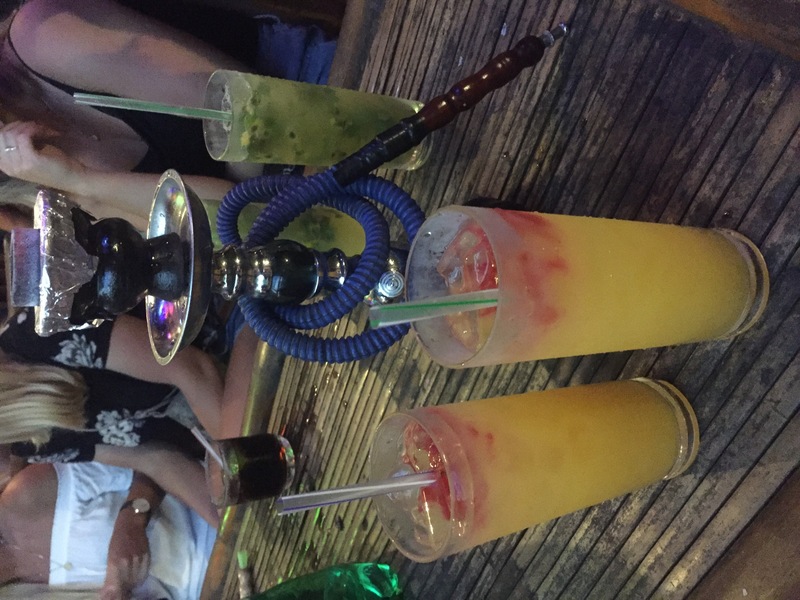 There are some good things to do and see in Hoi An but all of them sound like a full day or half day activity so we went back and had a rest. I caught up on my blogs a bit and finally backed up all the photos from my camera onto a memory stick. I saw all the photos again from our first day in Buenos Aires when my hair was still straight and I realised how much I miss it. Although I’m not fussed about constantly straightening my hair and wearing make up etc. I’m getting bored of looking at myself in the mirror and muttering “God I’m ugly” every time. 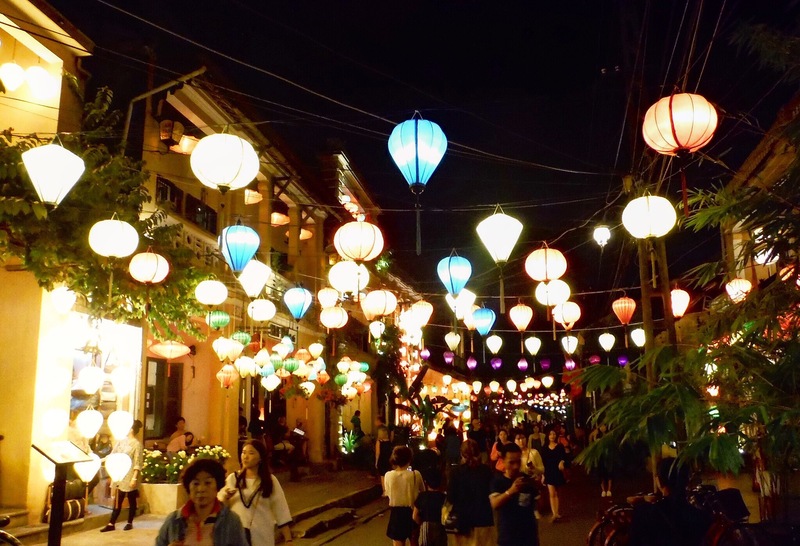 Once it was dark we headed back to the Ancient Town to see all of the lanterns lit up and it was beautiful. I have always loved lanterns and it’s my dream to one day go to the Lantern Festival. Normally I sit and stare at the scene in Disney’s tangled with all the lanterns/floating lights but now I got to see loads of colourful lanterns with my own eyes. We went to a small restaurant for dinner and I think this dinner was one of the best things I’ve eaten in a while. I was so bored of ordering fancy restaurant food and I just wanted something basic so I got a plate of spinach with a meagre amount of beef and a side of plain rice. Sounds boring but it was incredible. With a glass of wine on the side I was very happy! The only thing that could have made me happier would have been if I could have had pancakes too as it was pancake day. I’m joking, of course I went and found myself some pancakes! After food and a lot of pictures of lanterns, we went for a drink at Tiger Tiger bar. I was just about to win at a game of Jenga when the waitress suddenly starts wiping our wobbly table down and subsequently knocks down the tower. Ammun will deny it all but I won the next game too! 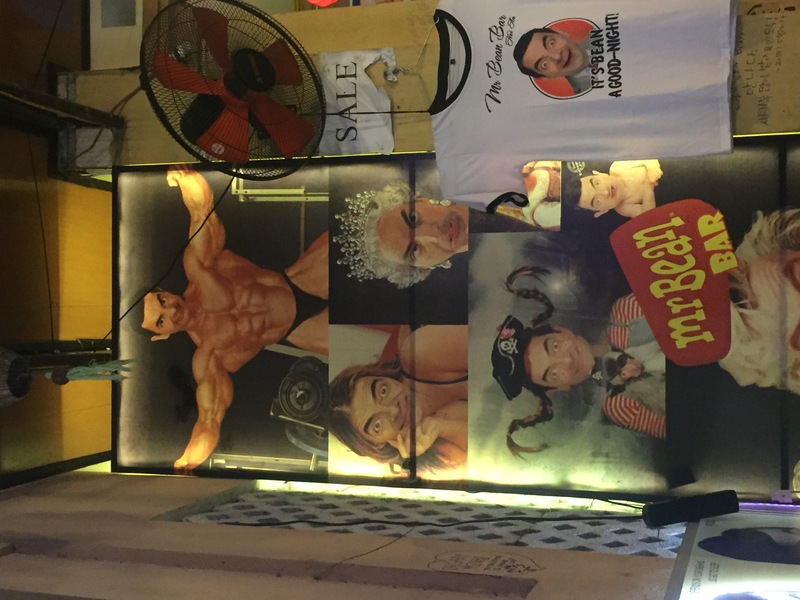 We then went for a few more drinks and shisha at the bar down the road called Mr Bean Bar and it’s as you would imagine, there were Mr Bean pictures everywhere! The next morning we woke up early to get the bus to Hue. Somehow our bus arrived at 7.50 instead of 8 and our breakfast didn’t arrive until 7.55! Luckily the bus driver gave us 15 minutes to eat and then we settled on a comfy sleeper bus and were on our way. 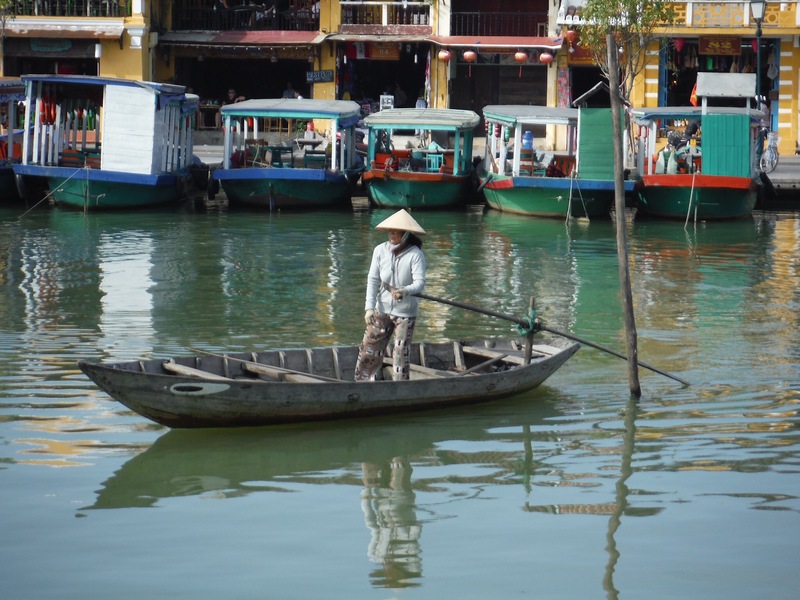 We arrived in Hue earlier than we anticipated so I thought it was a toilet stop. I was so desperate after all the juice at breakfast that I was ready to run off! We jumped in a mini bus and headed into the centre to our hotel. We thought we would treat ourselves to one night of luxury and this hotel was only US$15 a night for both of us to have a double bed each and an en suite! However the minibus driver kept telling us bad things about the hotel which made us a bit agitated. When we arrived at the Charming Riverside Hotel, we were greeted by the friendliest staff ever! 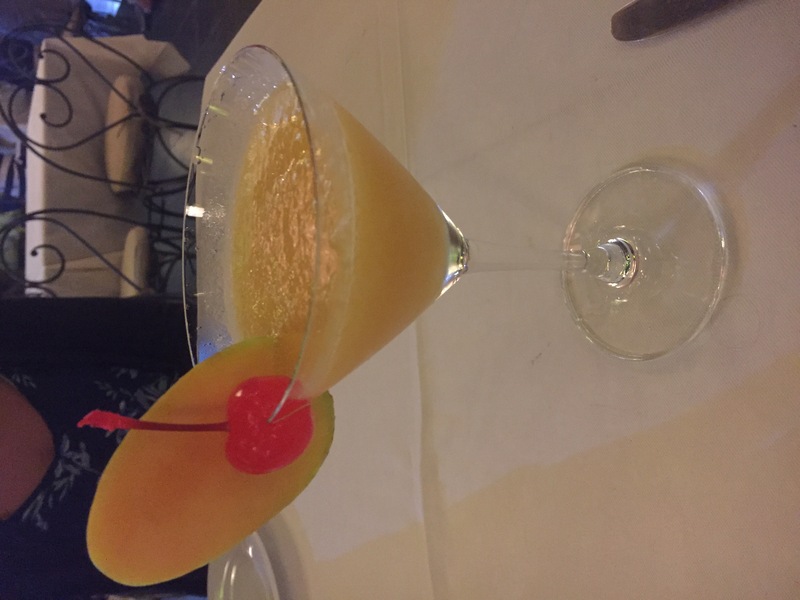 They were so happy to welcome us even though we didn’t have a reservation and brought us some fruit and a welcome drink while they sorted out our booking. We were then shown to our room and oh my god it felt so good to starfish on a double bed! We did our usual thing we do whenever we arrive at a new comfy place: cuddle up in bed and enjoy the wifi! 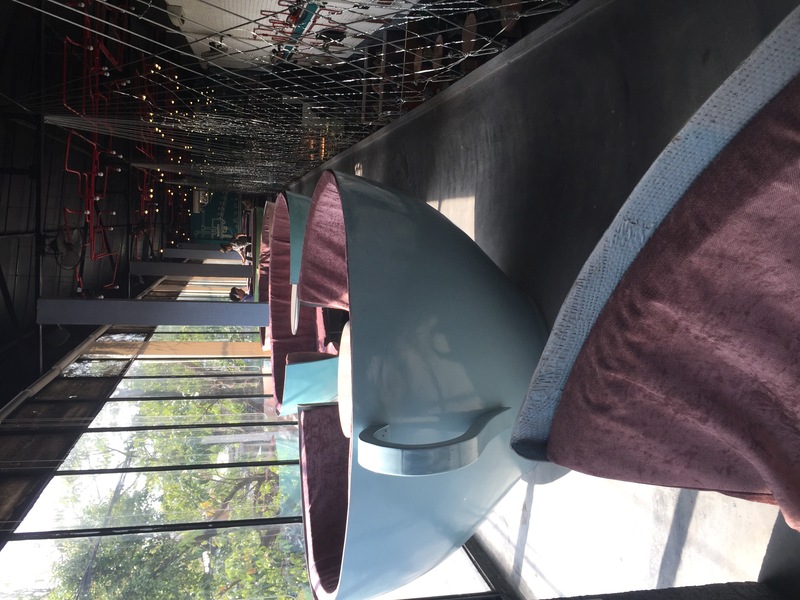 I did some research and we went to the first place I clicked on because we could sit in a tea cup! The One Cafe and Restaurant had all different types of seating, a nice atmosphere and yummy food. After lunch we went for an explore around the city but as Hue is very small, there isn’t much going on. We made it to the outside of the Imperial City which is the main thing to see but somehow we arrived after the ticket box closed (even though we thought we had another hour). It looked very grand from the outside but as we’ve seen things like the Grand Palace in Bangkok and Angkor Wat in Siem Reap, we’re not too upset that we couldn’t go in. However, just before we got to the Imperial City, Ammun’s sandal broke! We managed to fix it with a hair band but knew we needed to get to a shop or market soon! The market luckily seemed to be nothing more than shoes upon shoes but sadly they were all ugly and the market sellers were so forceful so Ammun persevered with the hair band. 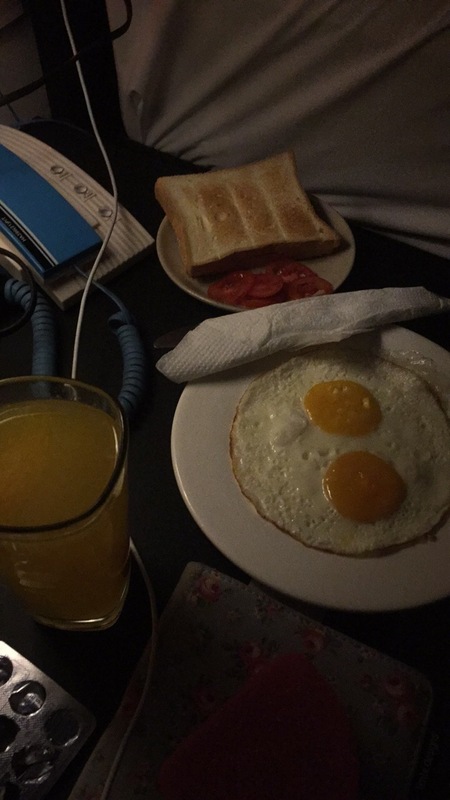 When evening came, I had started to feel a bit ill and wanted some simple food for dinner. We went on tripadvisor for suggestions and went for an Italian that was on the way back to our hotel called Risotto. 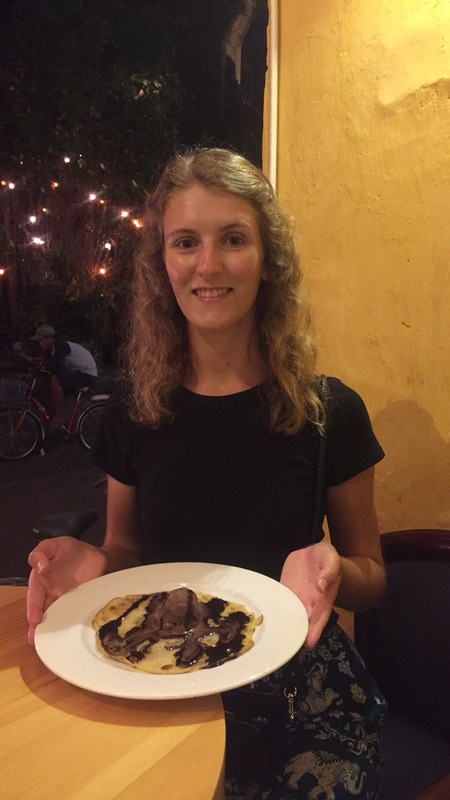 I slowly died as I ate my (kinda bland) pasta and tomato sauce and once we got back we booked our tour to the Phong Nha-Ke Bang National Park for the next day and then cuddled up in bed. We set an alarm for 6am to get up, get ready and meet our bus at 6.30 but from 4.10am I was awake and really not well at all. Once Ammun woke up at 6am we decided that it was best to try and change our tour because I was in such a bad way. I’m so glad we did because I spent the whole day in bed watching daytime tv like Asia’s Next Top Model which is actually quite good. I slept quite a bit and laid in bed feeling sorry for myself while Ammun went out and got breakfast and lunch for us both. For dinner I felt a bit better but as we were rebooking our tour I slowly went downhill again. I was determined to make it out but failed. We had to get our food to take away and we sat and ate in bed while watching The Karate Kid. That night I got a much better nights sleep and I felt okay when we woke up at 6. I’m so glad I spent that day in bed so that I could properly enjoy the impressive caves at the national park. I’m writing a whole blog post just on the caves and hopefully my pictures have turned out half decent! 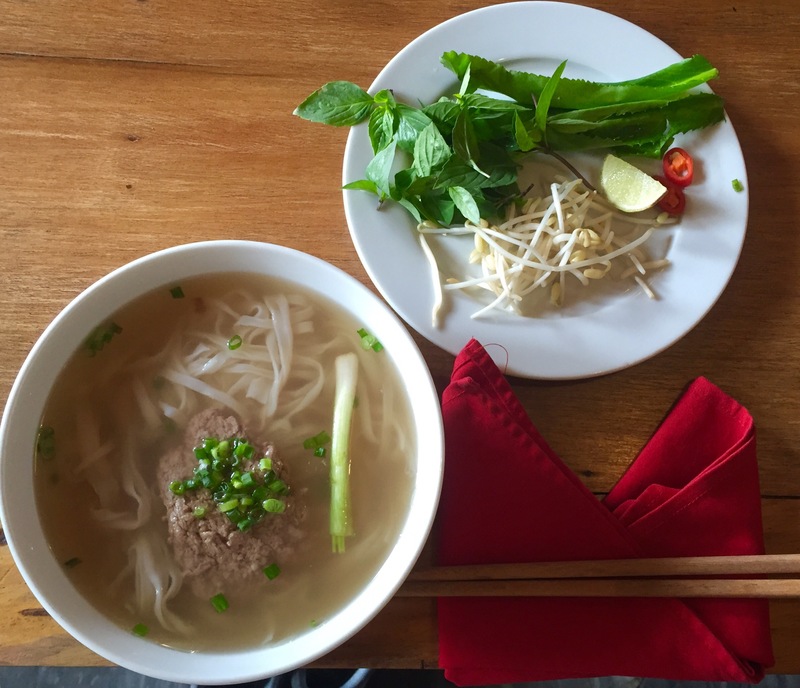 I love pho – it’s so so good. 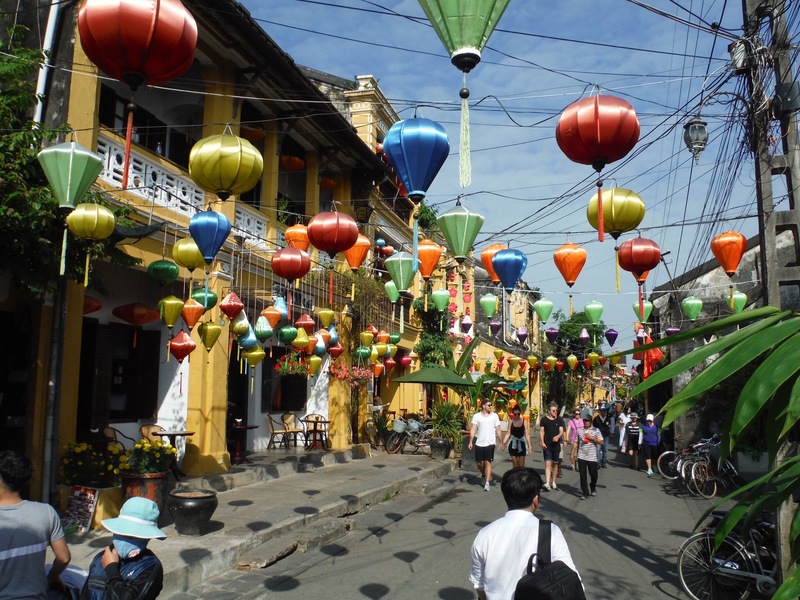 Hoi An was one of my favourite places in SEA and definitely worth spending a few days exploring its streets, markets and houses! Hope you are feeling better! The little chicks are adorable. 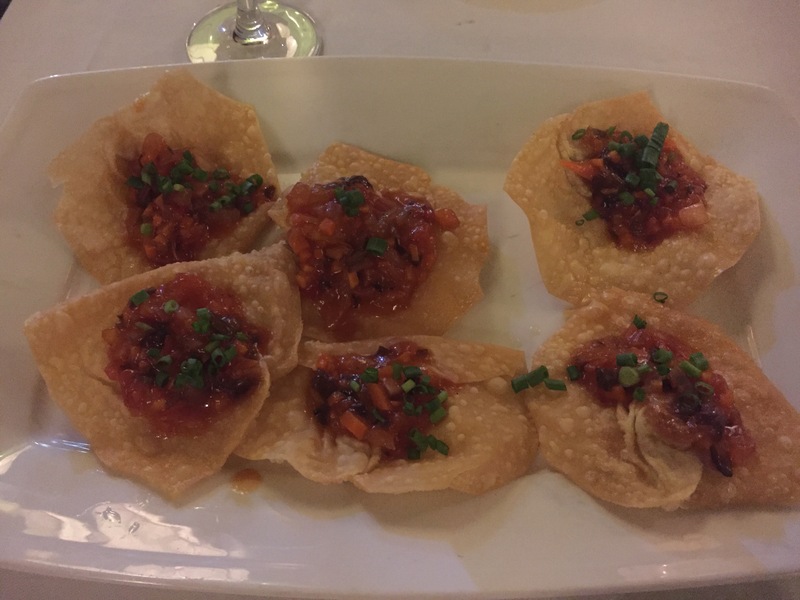 I love Vietnamese Cuisine, it is easy on the stomach and full of flavor. I love you pictures. The markets and houses are simply beautiful. 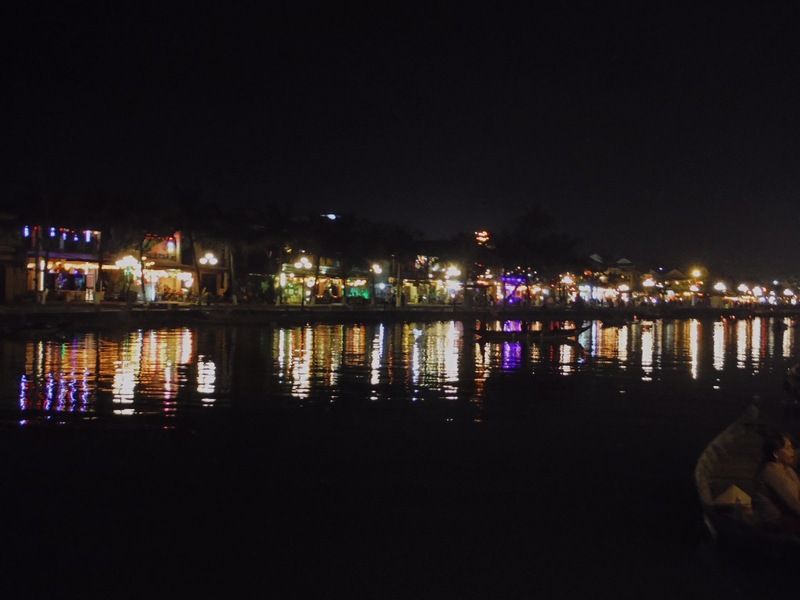 You had an amazing adventure in Hoi An.